1. 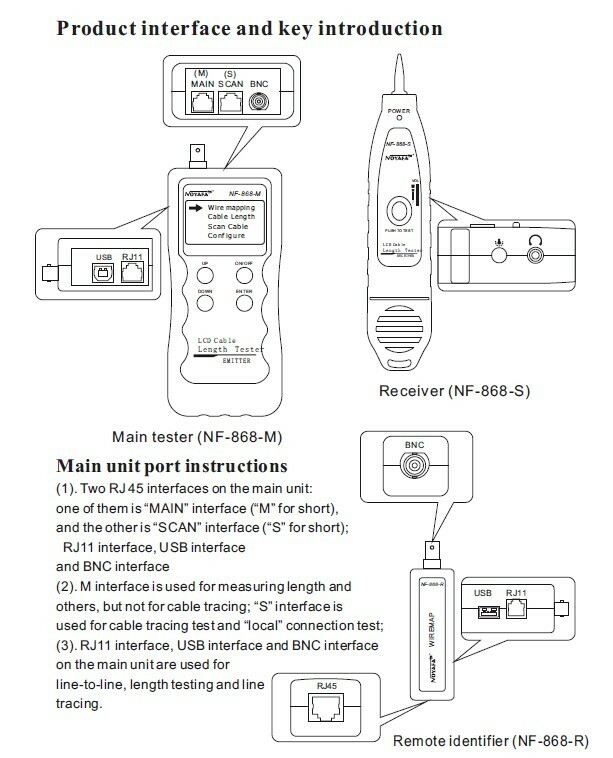 Check wiremap: open, short , cross connection, reverse connection. 2. 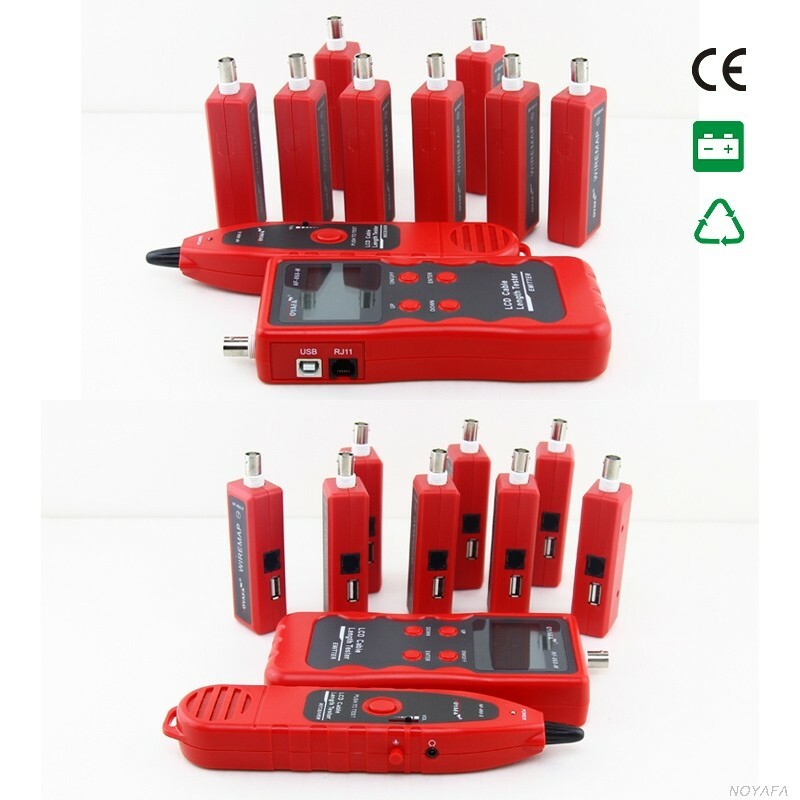 To perform crosstalk test on network cable to solve the potential problem of slow speed . 3. 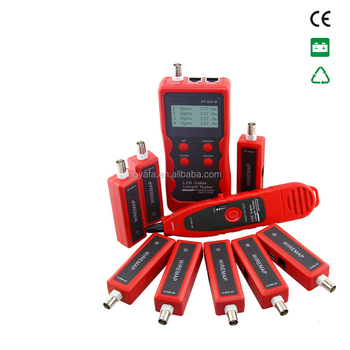 Measure length of network cable, coaxial cable, telephone cable and USB cable . 4. Cable tracing on exchanger or Router with power-on. 5. Quickly find the target wire or cable among kinds of wires. 6. Functions of storage and memory. 7. 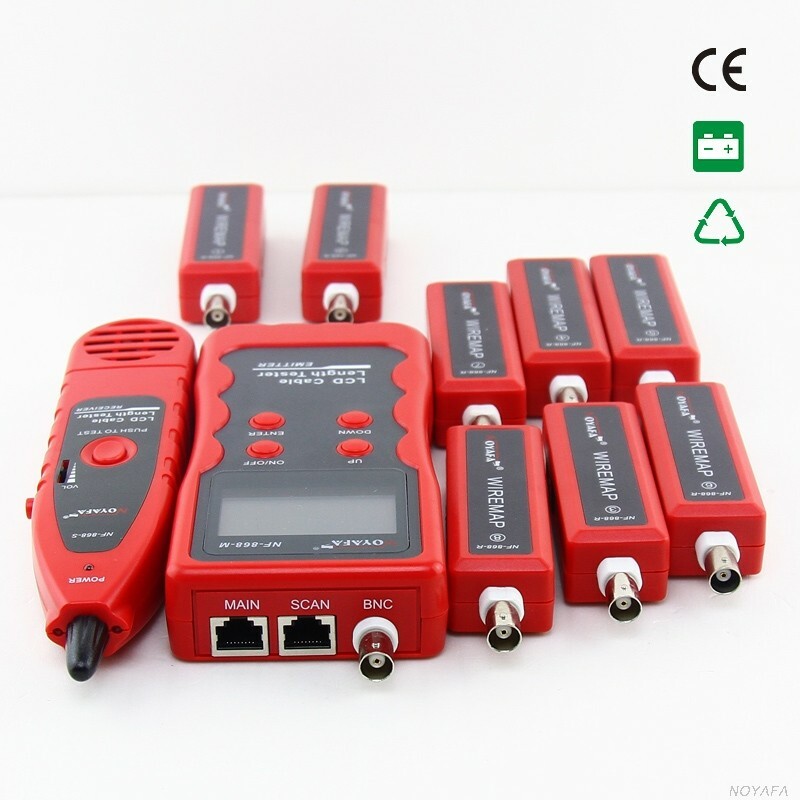 8 remote units are included. 8. 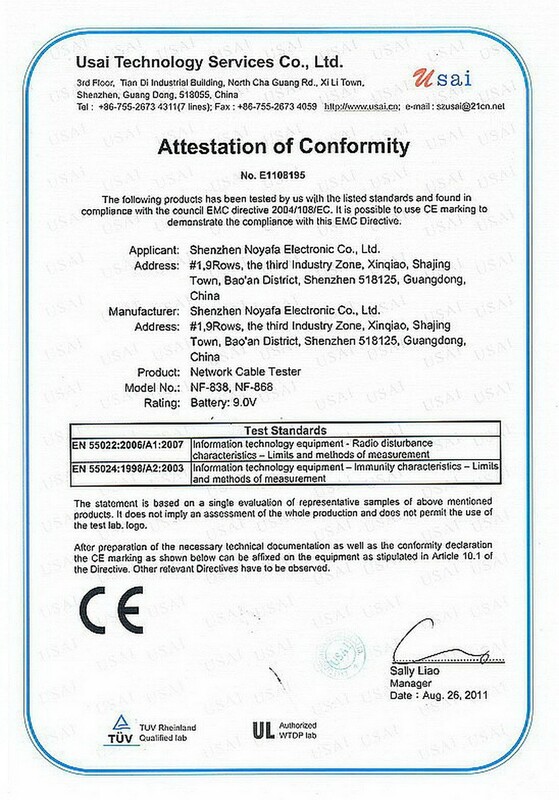 Automatic delay power on-off and backlight function. 9. Self-test function shall automatically make compensation due to change of battery level and ambient temperature.